I LOVE yoga. I love to practice yoga, and to teach yoga. I have a BSc in Health Sciences, and am passionate about anatomy, physiology and functional movement. I use this knowledge to help the individual achieve the yoga practice that is right for them in a safe and fun way. My classes aim to encourage questions and laughter, allowing each person to open up and feel comfortable in their practice of yoga. I really aim to give your yoga individual attention and modification as much as possible, believing that everyone’s body and needs are very different. I have put together both the 200 hr and the 300/500 hr Wellness Connection Yoga Teacher Training course. 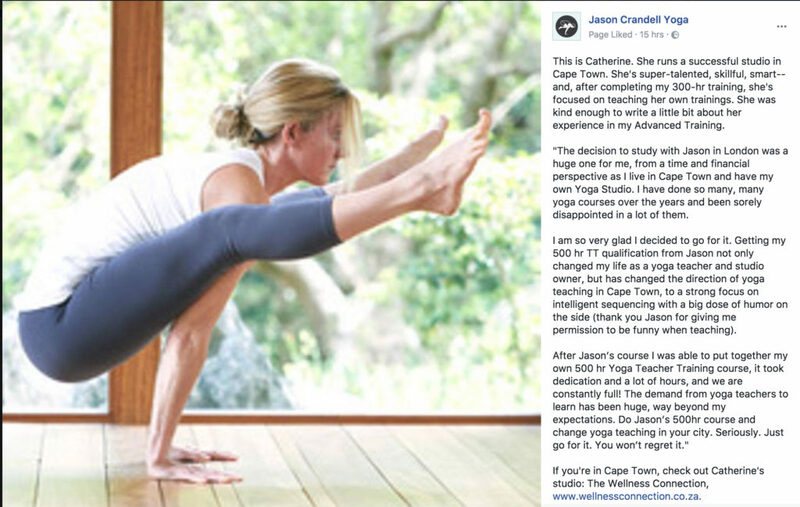 We have an incredibly high standard of education, that I believe is creating excellent yoga teaching. I have practiced many different styles of yoga for the past 20 years and have been teaching for the last 10 years. I teach in several ways: the individual postures, with an emphasis on alignment; the incorporation of the postures into flow yoga; and other exercise methods that help you to access the postures more easily through increasing flexibility, balance and strength.